Welcome to the nu Berlin Gift Shop pages. Please feel free to check what’s on display – and maybe get a Berlin related gift for you or your loved ones. All designs are original ‘nuBerlin Designs’. 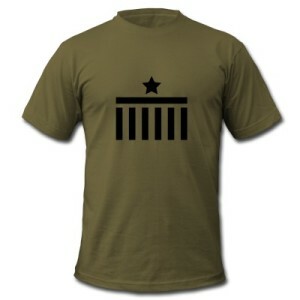 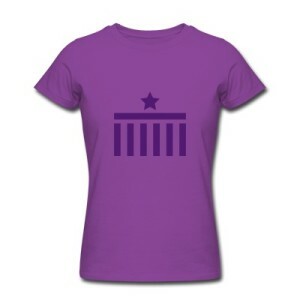 Men’s and Women’s T-Shirts by American Apparel featuring the nuBerlin-Logo – a stylized Brandenburg Gate with a five pointed star on top of it. 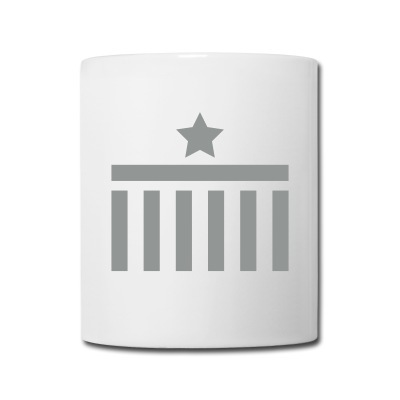 Coffee Mugs featuring the nuBerlin-Logo – a stylized Brandenburg Gate with a five pointed star on top of it.